A car accident can be an overwhelming experience. There are certain things you should do after a car accident, such as contacting your insurance company, seeking prompt medical treatment, and discussing your case with a qualified attorney. But there are other things you should not do after a car accident. This article discusses what not to do after a car accident. After a car accident, avoid these common missteps to protect yourself and your legal rights. Texas law requires anyone who has been in a car accident involving injury to a person, death, or property damage to immediately stop their vehicle. If you fail to do this and leave the scene of a car accident, you could be charged with a crime. See Texas Penal Code § 550.021. You should never leave the scene of a car accident. Call 911, and wait until police officers arrive to take a police report. If anyone needs medical assistance, police will dispatch emergency medical personnel to the scene of the car accident. 2. Forget to call 911. Some people mistakenly believe that it is okay not to call 911 if nobody is hurt in a car accident. This is simply not true. If you have been involved in a car accident, regardless of how serious the accident was, call 911. A police report can be crucial to establishing who was at fault for the accident in a subsequent lawsuit. A police report will include critical information about the car accident, including road conditions, names and contact information of witnesses, and an official write-up of how the accident occurred. A car accident can be a very upsetting experience. After a car accident, your emotions are likely running high. Do not lose your cool and become angry or upset with the other parties involved, even if the accident was their fault. Try to remain calm and see to it that everyone who was involved in the car accident gets the help they need. 4. Forget to document the car accident. Before leaving the scene of a car accident, you should take down as much information about the accident as possible. If you have a camera available, take pictures of the scene of the accident. Take down the names and contact information of all of the parties involved in the accident, as well as information about their insurance providers. If there were witnesses to the accident, ask them to write down a short statement about what they saw. Ask for their names and contact information. You should also take down details about the time and date the accident occurred, as well as conditions (such as rain or snow) that were present. Record license plate numbers and other important information. If you forget to document a car accident, it can be difficult to prove what happened in court should you or another party file a lawsuit. Your insurance provider will also want to know this information. These types of statements can be used against you later by insurance companies, which will likely try to avoid paying for damage caused in the accident, or by the other parties involved in the accident, who may file a lawsuit against you. Being involved in a car accident is difficult enough, but the hard part often comes afterwards. You may have to seek medical treatment if you were hurt. You will need to contact your insurance provider, and may have to field calls from the insurance providers of the other parties involved. You may even be served with legal papers. If you neglect to follow up on these sometimes pesky tasks, things will only get worse. 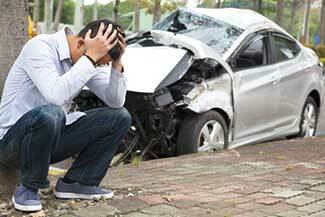 An experienced car accident lawyer can help you deal with the consequences and aftermath of a car accident. 7. Speak to the other party’s insurance company without a lawyer. Insurance companies will try to get you to settle your claims for as little as possible. It is risky to speak with the other party’s insurance company without a lawyer. They will ask you to record a statement about what happened in the accident and may try to use your statements against you during the claims settlement process or in a subsequent lawsuit. A lawyer with experience handling car accident lawsuits can communicate directly with insurance company representatives on your behalf. 8. Enter into an unfair settlement agreement. If you believe that an insurance company is trying to lowball you during the claims settlement process, do not enter into a settlement agreement. A car accident lawyer can help you better understand whether the settlement you are being offered is fair. A settlement offer may also arise in the context of a lawsuit. Do not enter into settlement negotiations, which are complicated legal discussions, without the assistance of a car accident lawyer. 9. File a lawsuit on your own. You may be tempted to file a lawsuit after a car accident on your own, also known as “pro se.” But this can be a risky decision, and end up costing you money in the long run. It might also result in having your suit dismissed. Most lawsuits that are brought after a car accident involve complicated legal claims. A lawyer can help you understand the legal process and will represent your interests in court. 10. Decline to hire a lawyer. If you were involved in an accident where anyone was injured or serious property damage occurred, you should hire a lawyer. To learn more about the signs you should seek advice from an attorney after a car accident, click here. The experienced Houston car accident lawyers at Sutliff & Stout will fight to protect your legal rights and pursue all available forms of compensation for your injuries. To speak with an attorney in our office about your case, call (713) 987-7111 today.